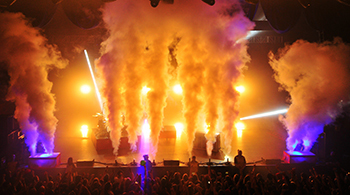 CO2 Effects are becoming more & more popular effect for clubs & bars, festivals & gigs & touring shows. Our CO2 Effects made by us in the UK are designed to withstand the tough hire market & touring life whilst making it as simple to rig as possible. 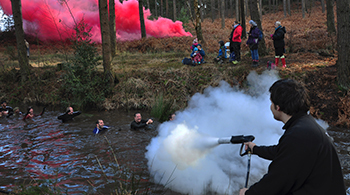 Designed to create plumes of fast disappearing white 'smoke', our Co2 jets and guns fire liquid Co2 into the atmosphere which immediately turns back into its gaseous state, producing jets of rolling white clouds. 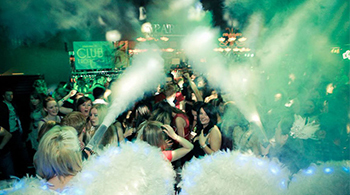 Co2 plumes can be used as a stand-alone effect fired either upwards or across the stage or room and are often used as a 'dump' effect as you'll see in many of Ibiza's Co2 clubs, or as a crowd cooler when things get really hot at a festival.